Molecular Dynamics Simulations for Computing Thermal Conductivity of Nano Materials. Nonequilibrium Phonon Green's Function Simulation and Its Application to Carbon Nanotubes. Thermal Conduction of Graphene. Ballistic Thermal Transport by Phonons at Low Temperatures in Low-Dimensional Quantum Structures. Surface functionalization induced thermal conductivity attenuation in silicon nanowires: A molecular dynamics study. Prof. 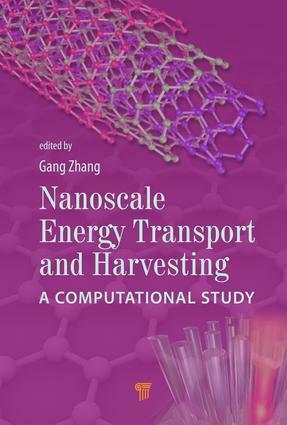 Gang Zhang is senior scientist and group manager in the Institute of High Performance Computing, A*STAR, Singapore. Before joining the IHPC, he was a full professor at Peking University, China. He received his BS and PhD in physics from Tsinghua University in 1998 and 2002, respectively. He is a world-recognized expert in the electrical and thermal property simulation of nanomaterials. He developed several novel approaches for molecular dynamic and quantum chemistry simulations. He has authored or co-authored more than 100 publications in peer-reviewed international journals and conferences and more than 10 invited reviews and book chapters. His research has gained him international recognition and media highlight. He is the recipient of the Outstanding Ph.D. Thesis Award in Tsinghua University (2002), Singapore Millennium Foundation Fellowship (2002-2004), IME Excellence Award (2008), and Excellence Award in Computational Physics, Chinese Physical Society (2012 Autumn Meeting).